In the early days of Hollywood, many pretty girls, whether they had acting experience or not, decided to head out west to try and make a career in motion pictures. Competition was fierce, and most of them eventually went home to the Midwest or the East Coast – or where-ever – after facing rejection after rejection. Some dealt with the disappointment better than others. One young actress named Peg Entwistle took failure particularly especially hard, and on September 16, 1932, she found a uniquely tragic and poignant way to depart the town that had been so indifferent to her. After hiking up Mount Lee then carefully folding her coat and placing her purse, which contained her suicide note, on top of it, Peg began to climb the electricians’ ladder resting at the base of the letter “H” of the famous “HOLLYWOODLAND” sign. Her last view from atop Mount Lee of the twinkling lights from the city below must have been both beautiful and heartbreaking. And then, the 24-year-old actress jumped to her death. The next morning an anonymous woman called the L.A. police and said she came across a woman’s coat, shoe, and purse while out hiking. Looking down the mountain, she also saw what was obviously a body. The caller, who wished to avoid any publicity, bundled up what she assumed to be the victim’s belongings and left them at the police station. Her uncle Harold saw the letter when it was published in the L.A. Times, and identified his niece’s body in the morgue. The saddest irony of Peg Entwistle’s suicide is if she had held off for just a few more days, things could have been on the upswing for the young actress. The last movie Peg made, Thirteen Women with Irene Dunn, got lousy reviews, and most of her performance ended up on the cutting room floor. RKO Studios dropped her, pushing her over the edge, so to speak. But the day before she died, the Beverly Hills Playhouse sent Peg a letter offering her the lead role in their next production. (The main character ended up committing suicide, strangely enough.) The offer arrived at her home the day after her death. The old cliché does hold true at times- that suicide is a permanent solution to a temporary problem, and never is that made more apparent than in Peg’s sad circumstances. 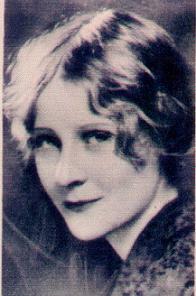 Peg Entwistle is the only verifiable case of someone committing suicide by jumping from the Hollywood sign. Of course, the use of alarm systems and motion detectors to prevent such an occurrence since her demise hasn’t hurt. The site where Peg’s cremated remains lay buried remained unmarked until a Facebook donation drive raised the funds to install a small granite marker at the site on the 78th anniversary on her death on Sept 16, 2010.